The biggest benefit of building a mass notification ecosystem is that it can be done without needing to make a huge investment in new technology. Let 2019 ‘ASTORS’ Awards Program competitor show you how build a mass notification ecosystem, with many tools your organization probably already has in place. In any organization, there are devices and systems in place to help keep people safe and informed during an emergency. However, many organizations do not fully realize the potential of these devices by integrating them into a mass notification ecosystem. Instead, they exist as disparate pieces of technology, which can mean precious time and energy is wasted when a crisis situation occurs. By tying those systems together, your organization can deploy a more effective response with messages that are more likely to reach 100 percent of your people. A mass notification ecosystem is all of the tools and systems your organization can utilize to send and receive emergency alerts. With the help of the right mass notification solution, you can have all of these pieces of technology communicate with each other, so that with the push of a button, you can send audio and text messages throughout your organization to make people aware of an emergency event. In this article, I’ll walk through the benefits of building a mass notification ecosystem, and best practices for how to do it. The right mass notification system will act as a central hub to manage which devices receive a message during an emergency. The biggest benefit of building a mass notification ecosystem is that it can be done without needing to make a huge investment in new technology. Your organization probably has many tools already in place. Different industries may offer opportunities for different integrations. Here are elements that make up a strong ecosystem, and how they can be utilized for mass notification. Typically found at most work stations or in most rooms, IP phones can be used to broadcast live or recorded audio with safety instructions. This offers an intrusive means to grab people’s attention. IP phones with displays can also show text and icons about the emergency taking place. Placed throughout facilities, IP speakers can extend the reach of your audio broadcasts to those who may be away from their desk phones. Some IP speakers will include digital signage so audio, text and visual messages can be delivered in tandem. In addition to digital signage attached to IP speakers, some organizations may have digital signs around their facilities such as flat-screen televisions. These can be used to share emergency notifications with text and images. Similar to IP phones, computer desktops are likely to be at most works stations or in most rooms. Using the right tools, alerts that display on desktops can pop-up in front of other applications and even unmute the computer to share information via audio. The devices listed above are great tools for sending emergency notifications within a building or campus, but mobile devices help alert people that are away and prevent them from entering dangerous situations. message delivery types including SMS text, push notification, phone calls and email. Physical panic buttons help trigger messages quickly. Placed in strategic locations, they offer a discrete and easy method for getting the word out. Panic buttons can also be configured on certain IP phones and as shortcuts on desktop computers. notifications when a fire alarm goes off. This is particularly helpful for warning people to stay away from a building. Mass notification systems can also trigger other systems, such as door access controls. If you need trigger a lockdown, you can send alerts and trigger doors to lock to prevent unauthorized access into a building or room. For example, RFID tags in healthcare can trigger alerts when patients wander out of designated areas. Manufacturing facilities can tie alerts into ammonia sensors, temperature sensors and eye wash stations. Having a good understanding of your facilities and your needs will help you determine which elements will be most effective during a crisis. Many events require more than a single message to be sent. They are evolving situations that require careful management by a group of highly skilled people, all interacting in real time. A mass notification ecosystem that has pre-built hooks into your collaboration platform can make this process much easier. Now that you understand the different physical elements of a mass notification system, you need a way to bring everything together. An open API will offer more options for integrations, and be sure to look for a system that can provide an ecosystem that includes mobile and on-premises notification. Many can do one or the other, but few can do both. This is a critical consideration as it provides the best chance for reaching everyone with the information they need to stay safe. With this component bringing your disparate systems together you’ll be able to leverage several benefits when sending mass notifications. First, you’ll be able to utilize consistent messaging. Messages can be configured in the mass notification software then sent to devices. Since you aren’t utilizing different systems for sending a message, you can have confidence knowing that everyone receives the same information, minimizing confusion about what actions people should take. Second, you’re going to be able to activate those messages more quickly and easily. With the proper configurations, triggering notifications can be as easy as pushing a button on a desk phone, which can then deliver a message to every other connected device in your ecosystem. Finally, by reaching all of your devices, you are reducing the chance that someone misses a notification. If you’re only sending messages through one channel, you can run the risk of someone not being aware that a potentially dangerous situation is taking place. Messages can be configured in the mass notification software then sent to devices. When you leverage multiple channels simultaneously, that risk is minimized. Building a comprehensive mass notification ecosystem helps you enhance safety and communication in your organization, keeping people out of harm’s way and deploying effective responses to crisis situations. Pat Scheckel joined Singlewire Software in 2010 and is currently responsible for marketing and product management. Pat’s objectives include delivering an outstanding customer experience, demand generation and content development. Pat has more than 20 years of experience in the technology industry, and holds a bachelor of business administration degree in marketing and risk management from the University of Wisconsin, Madison, and an MBA with a concentration in information systems from the University of Minnesota. As a 2019 ‘ASTORS’ Homeland Security Awards Program Competitor, Singlewire Software will be competing against the industry’s leading providers of Innovative Mass Notification Solutions. 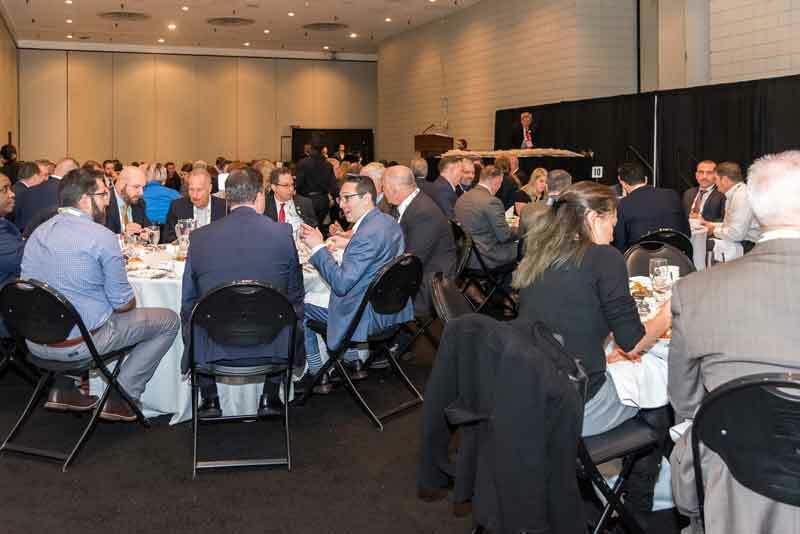 Good luck to InformaCast Fusion on becoming a Winner of the 2019 American Security Today’s Homeland Security Awards Program! 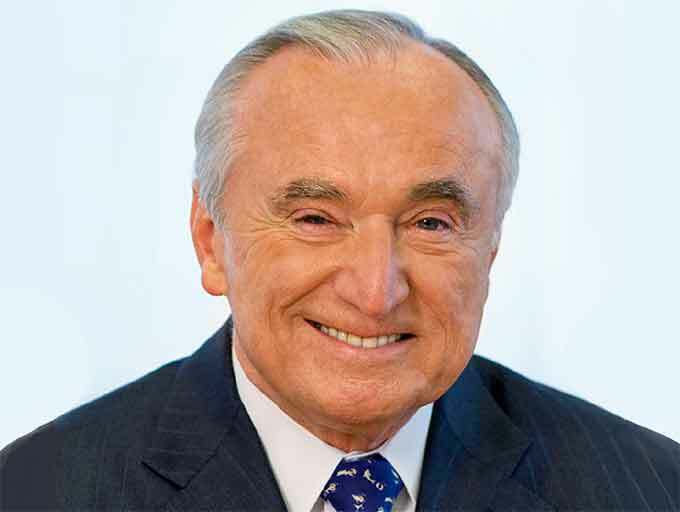 Bill Bratton, former police commissioner of the New York Police Department (NYPD), the Boston Police Department (BPD) and former chief of the Los Angeles Police Department (LAPD), will speak at the 2019 ‘ASTORS’ Homeland Security Awards Luncheon at ISC East 2019.